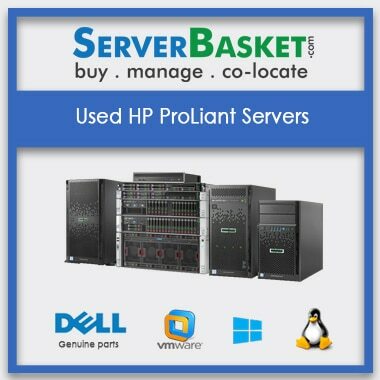 We at Server Basket provide all the servers which are ready for any configuration from HP ProLiant DL60, DL80, DL120, DL160, DL180, DL320, DL360, and DL380 gen6. 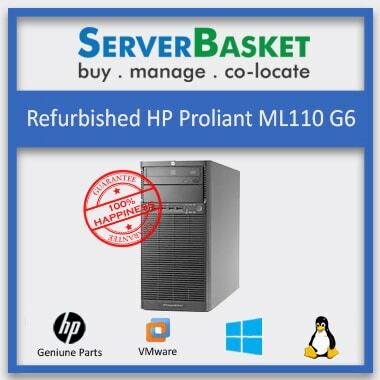 HP Gen6 ProLiant Server series is successful and durable, known widely for their reliability and scalability factors. The Gen6 servers have been configured that they’re useful for a wide range of processes and comfortable with all the latest OS. This ubiquity in functionality has made it one of the most popular generations of HP ProLiant G6 Servers. These servers are ideal for enterprise-level businesses, start-ups and medium-level corporations looking for versatility with flexible storage facilities at affordable prices. HP ProLiant G6 Servers powered with Dual Xeon X5600 which will maximize your performance while regulating your power consumption. Its multi-core servers and highly efficient processors will accelerate your data center’s ROI. It features Intel’s ground-breaking 32nm Microarchitecture Nehalem that adopt performance based on your business and software needs. Intel X5600 Virtualization Technology series enhances Virtualization performance by 3.5 times and brings down latency by up to 2 times. Through this, you can combine servers of different generations in the same virtualized server pool and thus improve your load balancing and disaster recovery abilities. HP ProLiant G6 Servers provide good flexibility with variant memory options. Heavy duty applications requiring a lot of memory such as Virtualization can efficiently manage. The complete Gen6 family of HP ProLiant is compatible with DDR3 RAM, giving it a boost in performance. Memory storage options start at 2GB but can be expanded up to 192 GB in G6 servers. Gen6 Servers offers compatibility with SATA, SAS and SSD storage drives which promises high-speed hard disk options for storage. Refurbished HP Gen6 servers have enough storage to cater to a startup and SME businesses without any issue. RAID card storage is an added benefit of this server, as speed can increase through data stripping. You can upgrade your storage, and it can be expanded up to 12 large Form factors, or 24 small form factor depending on the variation you opt for. 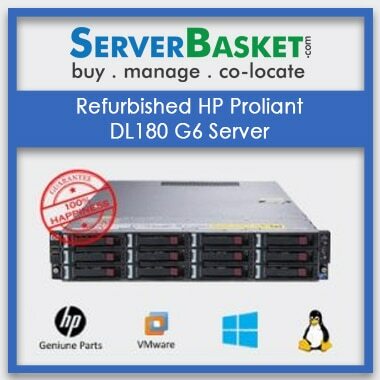 We provide refurbished HP ProLiant G6 Servers at the most competitive prices in the market. At Server Basket, our prices reflect our customer policy of providing the best possible quality at reasonable prices. These refurbished servers will give you all the benefits of superb functionality while helping you save money. Your concerns are our priority. We pride ourselves on being 100% responsive to our valuable customers. We promise 90 days warranty to ensure that any hiccups that you face adequately dealt with at our end. Our customer care services are available at your beck and call. Server Basket is known for its customer services. In case of any mishap, you can reach out to us with your Warranty Card, and Server Basket will make sure to give you the best service. We understand that your time is valuable. To ensure that you get started as quickly as possible, we provide immediate shipping options. Through this, your server will ship just as soon as you place your order. Rest assured, we will deliver your precious HP ProLiant G6 Servers with utmost safety and concern in perfect condition. We deliver to every nook and corner of the country.